I'm told I can sit wherever I like. The room isn't that big or full, but it takes 5-10 minutes for someone to come to my table, despite me waving. A Diet Coke takes another five minutes to arrive, so I order my main course on the spot. A hearty ragout of slowly braised oxtail, tomato, Mirepoix vegetables & red wine. Finished with baby spinach, fettuccine pasta & Parmesan herb crumbs. I ordered ragout, but I'll eat this pasta. The tomato sauce is pleasant and mild. The pieces of oxtail are almost indistinguishable from beef, but they might be just slightly sweeter and stringier. 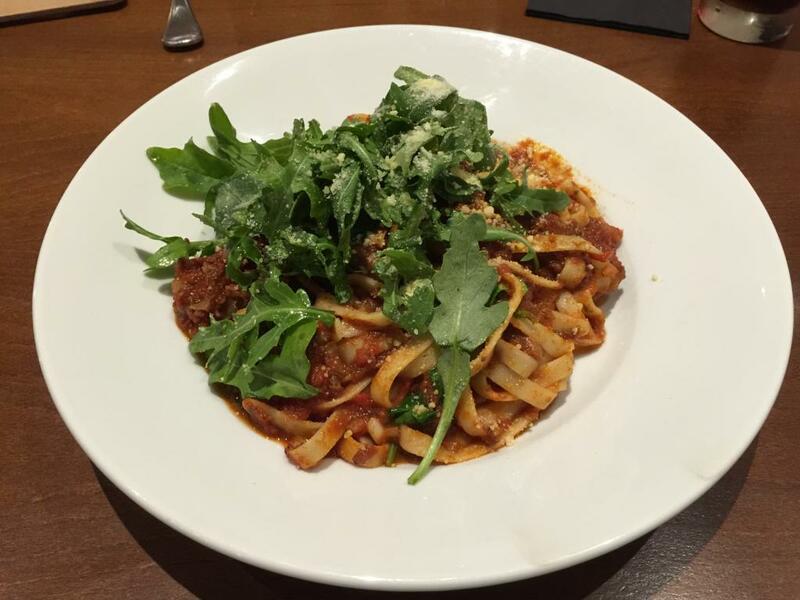 The pasta is softer than al dente, which means there's no real texture to the dish. It's all equally soft. The coarse rocket works acceptably well as a vegetable here, and can be mixed into the pasta without wilting. My search of Google Images shows a very small number of images of "ragout" containing pasta. 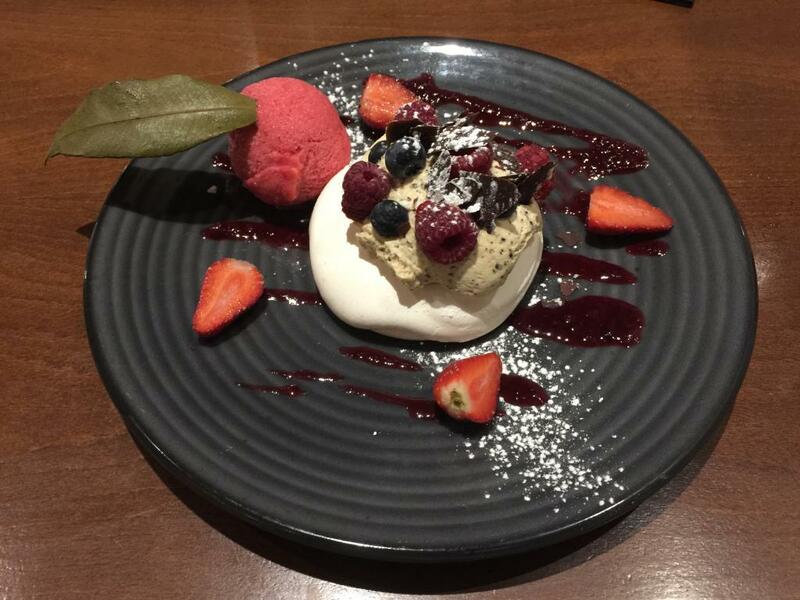 Blueberries, raspberries, strawberries, wattleseed & vanilla creme, house made lemon myrtle & raspberry sorbet. The wattleseed and vanilla creme isn't at all sweet. It just has a faint "seedy" flavour, like flaxseed or faint peanut paste. The chewy meringue base is a bit sweeter, but the whole thing lacks sweetness, despite its interesting taste. The scoop of sorbet has fairly large granules of ice, and a fairly natural fruit flavour. It tastes s but like jam. Again, it's not very sweet, but it has an interesting flavour.